I got totally sidetracked the other day. I was pondering about whether any of the outdoor cat houses I was obsessing over back when I lived in the UK were available here in Portugal. 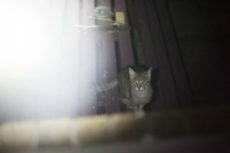 Basically there are a load of stray/feral cats in the neighbourhood and winter’s coming, which here doesn’t mean things get too cold, but they do get a little rainy, and so I was entertaining the thought that I could grab them an outdoor cat house for our backyard. 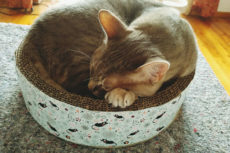 Then that got me thinking about how Avery has not stopped obsessing over his first couple cat trees, how he is so much happier to be at home alone (we barely go out, but even when we used to step foot in the garden, he’d cry out of boredom/wanting to be entertained – no more! 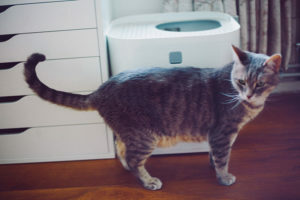 ), and how maybe the cat beds and cat houses I’d previously overlooked because they felt silly to grab when I could just throw down a sweater or blanket maybe had something more to them than I thought. Oh, I also bought Avery one of those cardboard cat scratcher beds… stuck it on a short dresser next to the dining room table; he physically will not leave it when we’re eating our meals in that room. 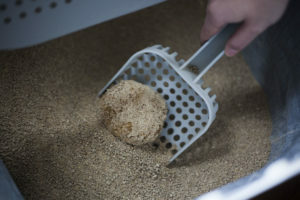 Obviously, my brain found the crossroads connection between all these seemingly unrelated things – outdoor cat houses, comfy cat things to sleep in, cardboard cat scratcher beds… and voila! I was looking up cardboard cat houses in no time. I’ll stop going on and on so you can have a peek. 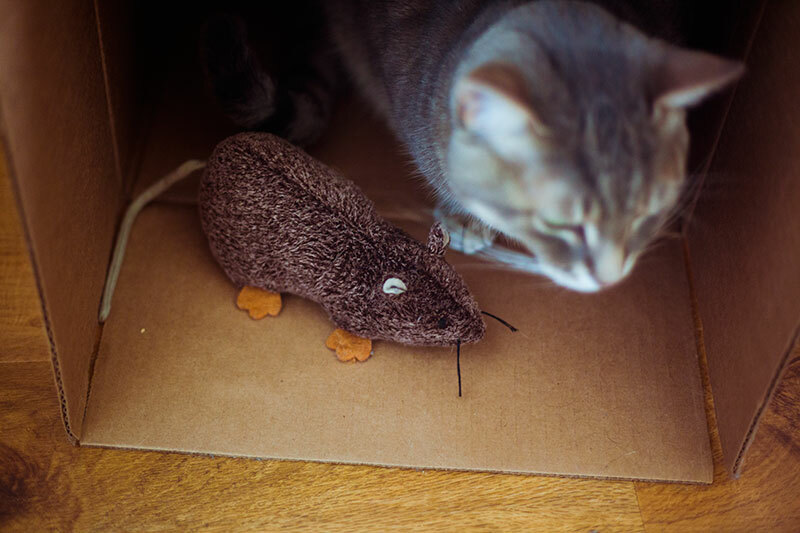 I actually wish there were more products like these available in unique shapes, because let’s be honest, cats love cardboard and the possibilities for adorable shapes humans would go bananas over (like mouse ones?) are pretty limitless.. 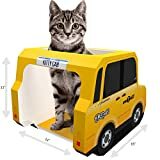 This Kitty Cab would absolutely be just as much for me as it would be for my Avery. It’s stupendously cute for photo ops and just overall gushing at how funny it is when cats take naps in teeny versions of human things. I mean, look at these photos of cats in the New York taxi version of this cardboard house and try not to melt. I dare you. A really basic triangle cardboard scratcher that somehow manages to look like the roof of a house. I definitely don’t think this is melt-worthy levels of cute, but because of how it’s designed, I think Avery would go bananas for it. Slanted scratchers, tight spaces, and tepee-like shapes rather than traditional rounded tunnels are so his thing. 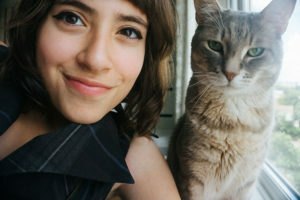 And he’s clearly not the only cat who would love this type of thing either. 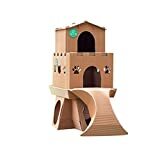 Again, if you’re looking for a cardboard cat house that’s just as entertaining for your feline friend as it is for you – look no further than crazy cardboard cat castles like this one! I think it’s made more for bunnies and smaller furries to spend time with, but I’ve seen a few reviewers mention they bought it for cats who loved this thing. You can take the time to colour it any way you want, or just stick it down in the middle of the living room. Either way, what cat wouldn’t want a nap in his/her own palace? It’s crazy cool. 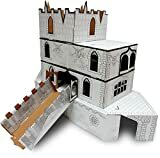 If you like the idea but are looking for more or less a sourround, one-dimentional cardboard castle that you can use as a playhouse or place other things (like a cat bed!) inside of for added interest, you may want to check out the Easy Playhouse Fairy Tale Castle. It’s meant to be for children, but really, what works for little people in terms of size is typically also perfect for cats as well. 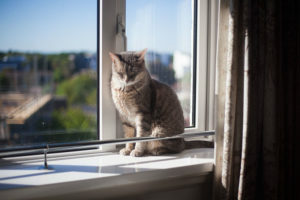 You&Me’s Milk Carton scratcher home is not as glitz and glam or full of cuteness as a number of the other items on this list, but it does look more cat-friendly and durable than ever so many designs. I think it’s really reasonably priced and since it looks durable, crazy good value. It may not be love at first sight with a cat, but sure looks like the type of thing that would become a staple in any indoor cat’s napping rituals. 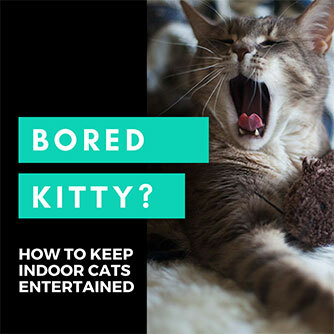 Check out how comfy it looks for cats here. I die with this cardboard cat house. 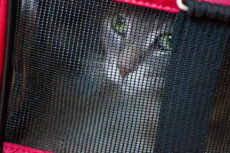 Need a better idea of what it’d look like if your cat was in one of these thing? Take a peek that these pictures. I think I’d never be able to put my camera down if I owned this one. And yes, in case you’re wondering, it is my personal favourite on this list. 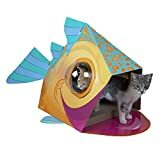 Kitty City also makes a Cat Dome, but I have to say, this fish dome is way better in my mind. 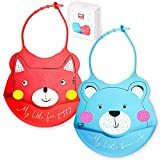 They’ve just gotta make more of these sweet, colourful designs – such perfect entertainment for pet parents as well as cats! I had to list at least a few actual house looking cardboard cat houses, so I figured I’d list a FurHaven one since it not only looks sweet, but also incredibly durable compared to a lot of the other options. I could see myself “wallpapering” the outside of this gingerbread house style cat scratcher house with Christmas wrapping paper. 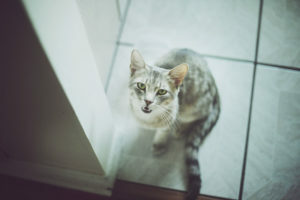 I’ve spoken about FurHaven a lot on this blog because they make excellent quality, inexpensive cat trees; and while this isn’t a cat tree, I’d expect their standards for quality would probably be the same. Sure looks like a durable cardboard to me! 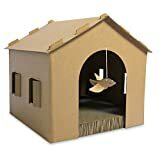 A couple alternatives in case you’re looking for a different cardboard cat house that actually looks like a house, but aren’t too into this one: Kitty Play Zone Playhouse & Babe Lover Scratcher House. This cardboard cat house looks absolutely crazy – three levels, built-in scratchers, and visually looks so durable and over-built it’s mad. It’d probably be the best completely cardboard playhouse imaginable – essentially a cardboard cat tree equivalent, or well nearly. Aesthetically, the Taiwan Present Meow House reminds me a lot of a jungle tree house, which is way cool. 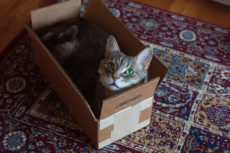 If it does well over time at withstanding feline weight and scratching, I find it hard to imagine a better idea for a cat cardboard playhouse. 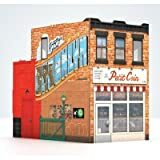 LEVE’s 3-storey Cat Scratcher House is the only comparable item I’ve been able to find, and it doesn’t even seem to come close on the coolness or well-planned-design scales. I’ve really dug the tropical plant wallpaper trend that’s been going around recently. The fact that this pyramid style cardboard cat cave fits so perfectly into that trend and would look so stinkin’ good in an office or a living room compared to most cat products makes me ever-so-happy. I think if you’re going for something plain pretty and aesthetically minimalist to match your human furniture and the design of your space, this is where it’s at. Speaking of modern, PAWABOO makes some fascinating looking products that honestly look like they’re attempting to be more or less modern art statues/usable art designs in case that’s the type of thing that’s up your alley. 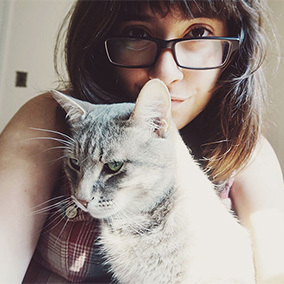 It’s the kind of thing I’d have been ever-so-into if I was still living with Avery in our small studio apartment; I’ve always felt that in small spaces, it’s easier to feel overwhelmed by cat stuff, and for those times, modern, human-like cat furniture and scratchers are the best choice. 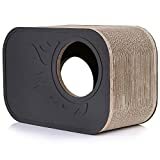 Pawaboo also makes a neat, accordian style Cat Scratcher Tunnel, though again, I’m not as much a fan of that as I am of this one. But do check it out if you’re into the overall look of their products! Obviously would be a perfect pairing with the New York City Kitty Cab. What cat wouldn’t look fabulous in a cat house shaped like a Brooklyn apartment building? Photo ops would be hard to resist with this thing in my living room. Thoughts on Cardboard Cat Houses? Have you ever thought about buying a cardboard cat house? 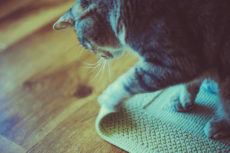 Would you ever grab one for your cat or do you prefer to DIY cat houses from cardboard boxes? Ever DIY-ed one yourself that turned out well? What did it look like? Which types of cardboard cat houses do you feel are nicest? Do you like the ones I like best – those that would make for great photo ops because they’re shaped like fishes, cabs, or castles? Do you like the modern, sleek cardboard cat houses better? How about ones that are overbuilt, multi-story playhouses? 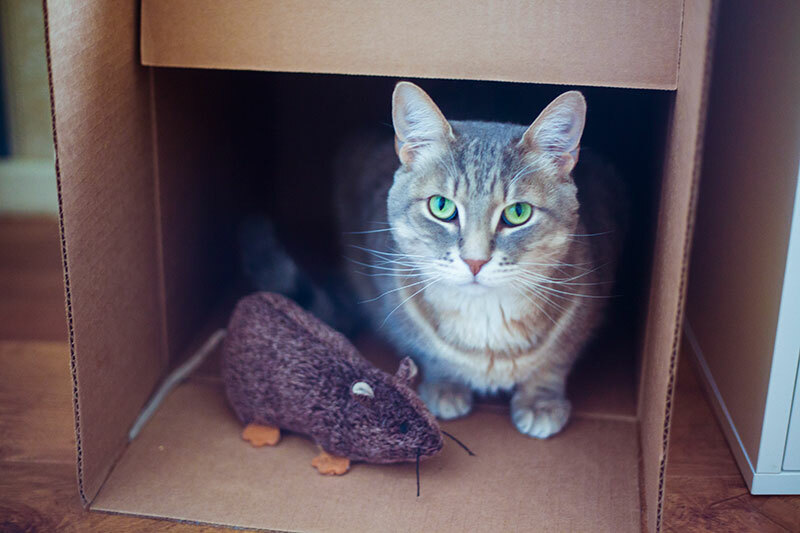 How do you think cardboard cat houses hold up over time? Looking forward to hearing your thoughts in the comments below! 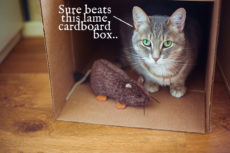 Aw, this makes me want to make a cardboard cat house for my kitty, Sassy. I’ll be subscribing to the newsletter :). Thanks for the read! Da Boyz lurv their cardboard scratcher beddy, and the Pawaboo hollowed version could soon be in our home! I wish more companies followed the Modkat/Pawaboo design aesthetic and went minimal and modern. One can only hope that's the trend they'll head toward in the future!